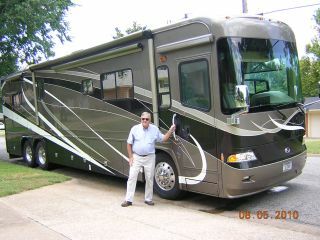 I would like to take your family on a private tour, or vacation in the USA or Canada in a Private Luxury Motorcoach? You can now do it now with Private Motorhome USA. I cater to the family that wants to get away from the schedule of a group tour and do the things that they want to do. If you want to stop we can stop, if you want to see something that has caught your eye, we can do it, our schedule is as flexible as you want it to be. Have it your way and see the things that you want to see, not what has been scheduled for a group. If you are not from the United States and need and interpreter Japanese, Chinese, French, German, Italian, Russian, I will try to get someone that speaks your language (and mine) to go along on the trip. We can also have a chef, take a look at Chef Cathy Zeis . I can also arrange to get a very fine cook (My Wife) to go along for the meals that you want to eat.